Boat trailers allow you to transport your boats to our favorite beach and provide you with a simple system in which to launch and retrieve your boat. 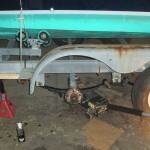 One of the most critical parts of any boat trailer is the axle. 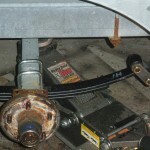 The axle provides mounting for the trailer tires and supports the entire weight of the trailer and boat. 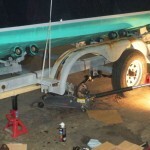 Routine rebuilding of the axle will help to keep your trailer freely moving down the road and into your favorite body of water.